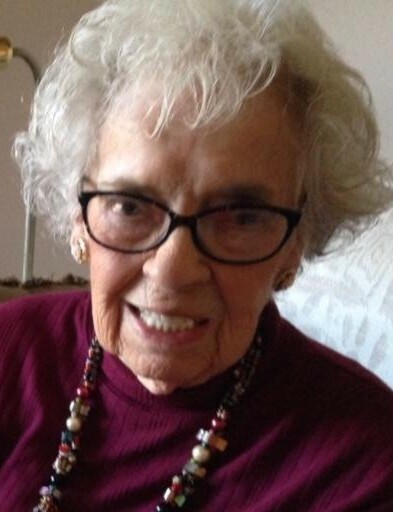 Marie Sarah (Seward) VanSickle, 88, of Pleasant Hill, Missouri went to be with the Lord on February 8, 2019. She was born April 7, 1930 in Jordan, Montana as the oldest of six children born to Carl Noah Seward and Mary Sarah (Vogt) Seward. Shortly after Marie was born they moved to Missouri to be close to family and settled in the Camden-Richmond area. Marie graduated from Camden High School where she was involved in every activity and spent four years playing basketball. After graduation she worked as a waitress at the Elms Hotel in Excelsior Springs. Later she moved to Kansas City where she met her future husband, Bill, who had returned from serving in the Navy during WWII. They were married Christmas Day 1949 in Lexington, Missouri during a blizzard. Jobs were abundant in Californiaso the family moved to Los Angeles and spent the next 14 years raising their three children. They returned to Missouri to be close to family and purchased 40 acres in Pleasant Hill in 1968. Her love for children prompted her to start Pleasant Acres Preschool in her home. For many years she provided a preschool education for the children in the area. Her reputation as a loving and kind teacher was well known and respected in the community. She was a great cook and skillful seamstress though in later years she was not able to enjoy these hobbies as she once did. She loved spending time with friends playing in several bridge clubs or going out to eat. She loved people and never met a stranger. She was very active in the Pleasant Hill community. She was a member of the V.F.W. Post #3118 Auxiliary, the Preceptor Epsilon Phi Sorority, and the Business and Professional Women’s Association. Marie looked forward to family reunions in the summer and at holidays. Since her husband’s death in 2015, her children and grandchildren would celebrate her birthday with a family workday where cleanup at her house would take place inside and out accompanied by much laughter. Mostly she just enjoyed having all her family around. Marie was preceded in death by her parents, a sister, Marles Ann, her daughter, Rhonda, in 2014 and her husband, Bill, in 2015. She is survived by a daughter, Debbie Deatrick (and Scott) of Rogersville Missouri, a son, Dan VanSickle (and Becky) of Greenwood, Missouri; grandchildren, Staci Kelley (and Scott) of Seattle, Abbie Durr (and Caleb) of Joplin, Jessica Novotoney (and Nick) of Lone Jack, Danae Grace (and Evan) of Oklahoma City, Dana Yingling (and Jason) of St. Charles, Alex Burau (and Emily) of Lee’s Summit, Austin and Blake Burau of Lee’s Summit; 8 great-grandchildren plus another to be born in May; one brother, Billy Seward (and Bonnie) of Richmond; 3 sisters, Jeanne Adams of Richmond, Arlene Williams of Camden, and Marian Berning (and Jerry) of Richmond; and a multitude of nieces and nephews, neighbors and friends. She will be missed by all who knew and loved her. Visitation was held Tuesday, Evening, February 12, 2019, at St. Matthew Lutheran Church, Lee’s Summit. Funeral services were held Wednesday, February 13, 2019, at the church. Reverend’s Craig Otto and Steve Andrews, Jr.,officiated. Music was rendered by Cheryl Enke, Phronsie Fiest,,Marsha Redmond, and Max Timms. Interment was in the Pleasant Hill Cemetery. Casket bearers were Alex Burau, Austin Burau, Blake Burau, Caleb Durr, Evan Grace, Nick Novotney, Roger Wendel, Jason Yingling and Scott Kelley (honorary). Memorial contributions are suggested to the St. Matthew Lutheran Church and may be sent in care of the funeral home.